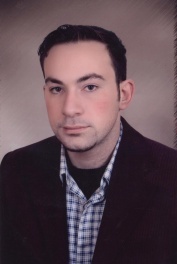 Anas Hajar is a graduate of Warwick University holding a PhD in English Language Education. He won the Warwick Student Prize in 2015 for his doctoral work. He worked as an EAP tutor at Warwick and Coventry Universities in the UK and as a research fellow at Canterbury Christ Church University, UK. He is currently a postdoctoral fellow at the Chinese University of Hong Kong. Forthcoming (Sep/Oct 2018). International Students’ Challenges, Strategies and Future Vision: A socio-dynamic perspective. Bristol: Multilingual Matters. 2017. ‘Helping Learners Learn: Exploring Strategy Instruction into Language Learning Textbooks’. In Tomlinson B., Mishan, F. & Mashuhara, H. (Eds) Practice and Theory in Materials Development in Language Learning. Cambridge: Cambridge Scholars. 2013. 'Investigating Humanistic Elements in Global Textbooks: The Case of New Headway Intermediate (4th Edition) Student’s Book'. Folio, 15.2, 33-39.